Research Lab에서 사용되는 Reagent 제품들로 marketing 담당자를 채용중입니다. Design and implement the yearly marketing plan to achieve the agreed sales revenue target for the specified product lines. Provide strategic communications and marketing for the Life science reagent, especially Cell Biology: strategy goals, core products and thematic campaigns, including the segment marketing campaign. Through in-depth market knowledge, design and implement the best marketing campaign in conjunction with global program and strategy. Close liaison with sales manager and segment team, ensuring development of campaign activities should be preceded according to the plan. Oversee and monitor campaign delivery and review effectiveness, identifying creative and cost effective solutions to each campaign requirement. Local pricing management: Implement local pricing strategies consistent with Global Guideline and position assigned products against competition. Product Training for the Product portfolio: Provide product and market knowledge to support sales activities through customer and end user visits, and provide this information in a timely manner, including sales training and field support of the sales force. 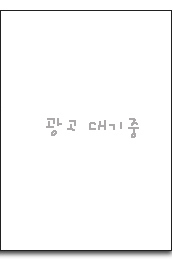 본 정보는 머크(주)에서 제공한 자료이며, 파마메디잡는(은) 기재된 내용에 대한 오류와 지연, 사용자가 이를 신뢰하여 취한 조치에 대하여 책임을 지지 않습니다. 본 정보는 파마메디잡의 동의 없이 재배포할 수 없습니다.